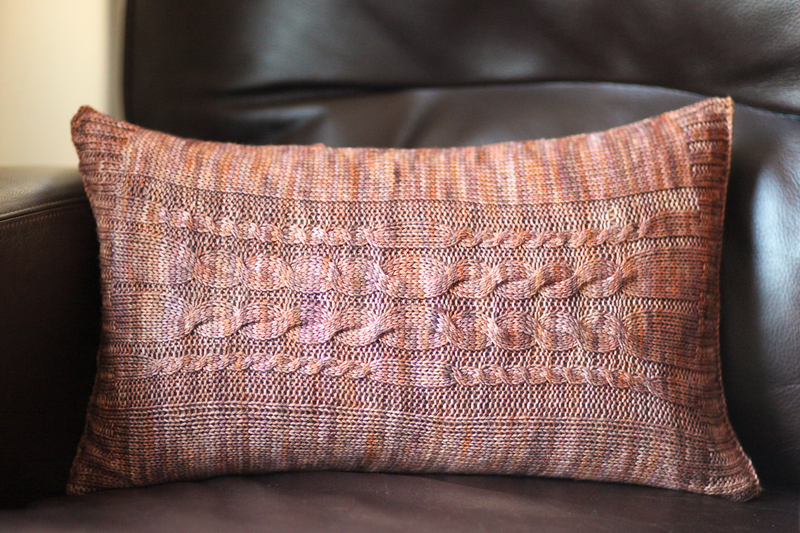 I was lucky enough to test knit the Mystic Comfort Pillow for Katie. I am thrilled with this design. It was a very fun knit and a little addicting. I would have to force myself to put it down and go to bed at night. 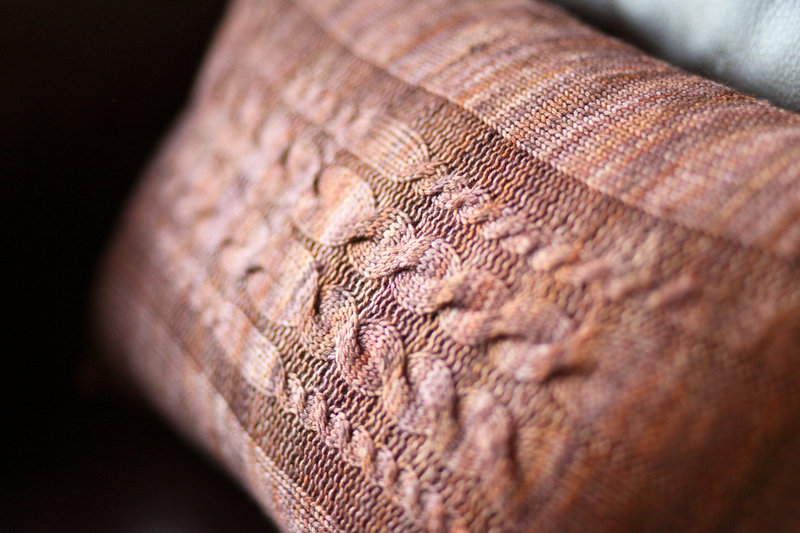 It is a quick knit. The total time including blocking & seaming took me about 2 weeks to complete. 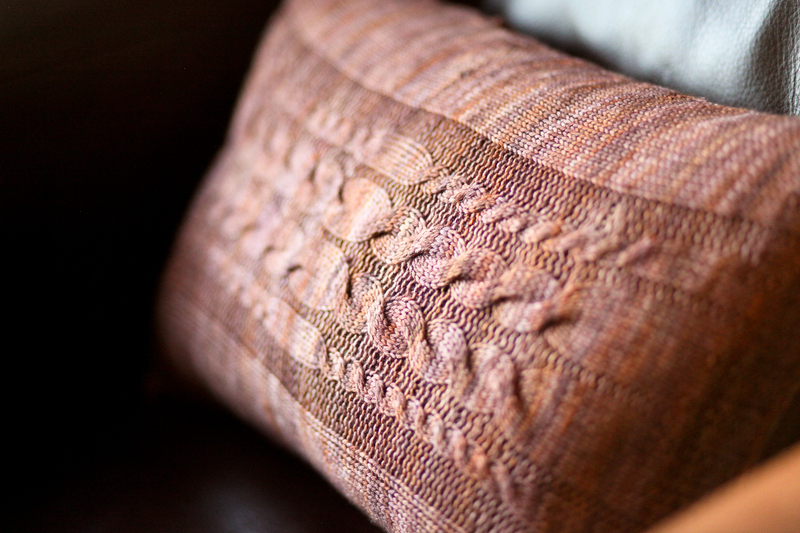 The pattern is easy to understand & follow and it's also easy to memorize I used Malabrigo Arroyo (review here) on a size 6 needle. The pattern calls for a 7 but I know that I knit more loosely than Katie, so I dropped down a needle size to obtain gauge. This yarn is magic on this size needle. I can easily call this one of my most favorite knits! This will not be the last time I knit this pattern. You ladies never fail to amaze! Just bought the pattern and can’t wait to go to my LYS and get the yarn. 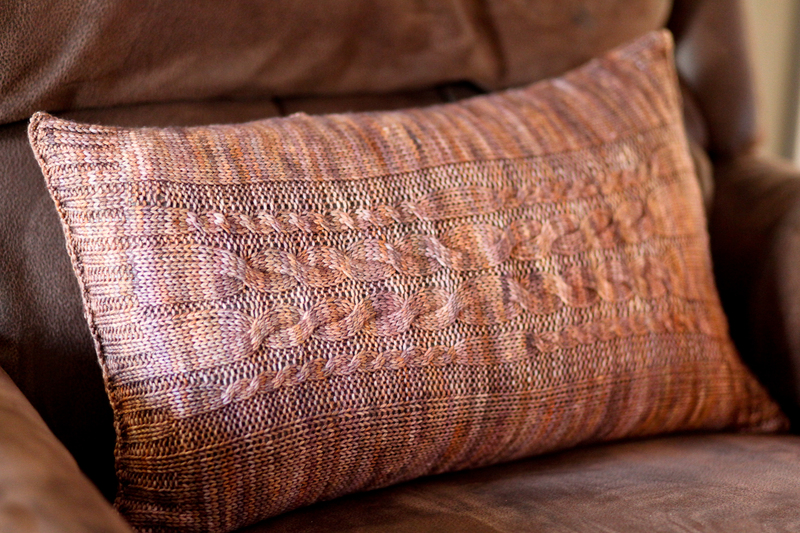 Love cables and love knitting pillows…can’t wait to get started! I’m already working on the pattern after it came out yesterday. ’Really enjoying it! Just learned cables last week courtesy of You Tube- they are so fun! Thanks for the pattern, Katie. Your pillow looks so nice, Kara! I looked around and there are a lot of videos but many of them give you quite a bit more information than you need to know. This video here http://www.youtube.com/watch?v=N9Ji1sGDYBA it’s really quick and simple. I think you’ll get the idea! If not, I’d be happy to create something and post it for you. Let me know! What You Yube video to you watch for cable stitch?